Spring had finally begun to seem as though it was, finally, here to stay. Stefan had come down with an acute case of ‘spring fever’. It had been a decade since he had had a ‘classic’ ride of his own, And he felt that, if did not drive a ‘stick-shift‘ car soon, he might break down and steal one for a few hours just to luxuriate in the art of smooth clutching and shifting. His daily driver, the ’05 Cavalier, was paid off. He had secured, after endless pleading and pouting, his wife’s agreement to sell her “Mad Max’ and to use his negotiated portion of the proceeds to acquire an old ‘collector’ car to be his fair-weather driver. His heart was set on an old rear-engined, aircooled Volkswagen. It would be his sixth. Its’ attainment filled his dreams and his prayers. He had endured without one for too long. His suffering was keen. He set to work. 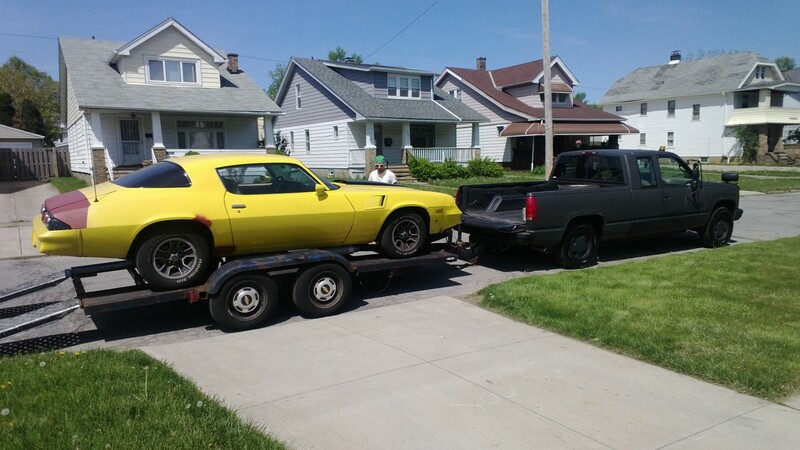 After posting ‘for sale’ ads in several Camaro forums; he began the search for his next “Precious”. He searched his favorite two forums “The Samba” for VW’s; and Hemmings Motor News for VW’s and anything else old and having a manual transmission. Given the limitations of his pool of funds; he needed to set the search parameters to a 500 mile radius of his home to get even a ‘short list’ of candidates. He drove an hour to look at a ’68 Beetle with an “Automatic Stick“. No clutch in that one; but manually shifted nonetheless, and, he thought, his wife might be able to drive it too. Upon driving it, it was apparent that it would need some work and some more funds to be the ‘daily driver’ he had set his heart on. It died at each stop sign, and steering it made it seem as though he were at the helm of the ‘Queen Mary’. 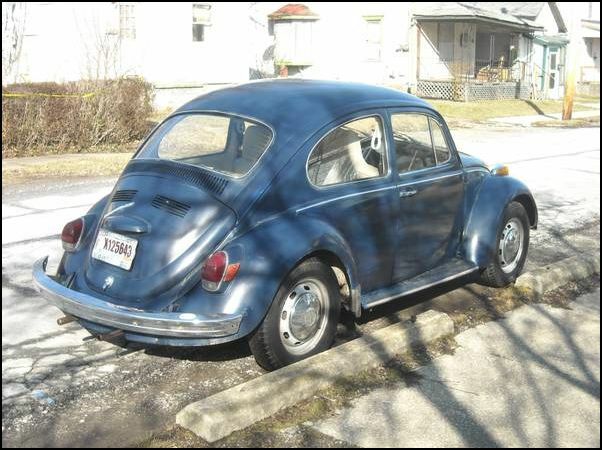 The seller had only just gotten it from someone who had it in a barn, and felt that drivability issues were insignificant compared the the ‘cachet’ of owning a Beetle. Just driving it was worth the trip, though. Stefan had thanked him and moved on. He began to visit the major antique car shows and swap meets in the area. This had once been a weekly ritual for him, and now, some 10 years since he had been to one, his fever heightened as he sniffed the aroma of old mohair and hot bake-lite in the interiors of the old cars he perused in the “car corral’ areas, where owners paid to show and sell their cars. The seller was friendly enough, but seemed unconcerned about the barely perceptible level of oil on the dipstick and the slack in the fanbelt. Both, fatal flaws in an air-cooled vehicle. 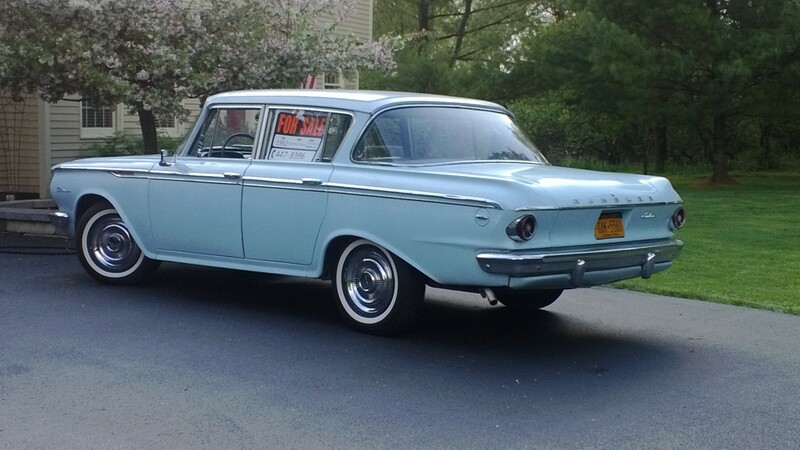 Again, a car that would need an inspection tear-down of the engine and a re-build to be useful as a daily driver. The others he found, some as far away as Chicago, fell into two categories: 1) Running; solid and twice his price limit; and: 2) Running; rusty and priced ‘right’. 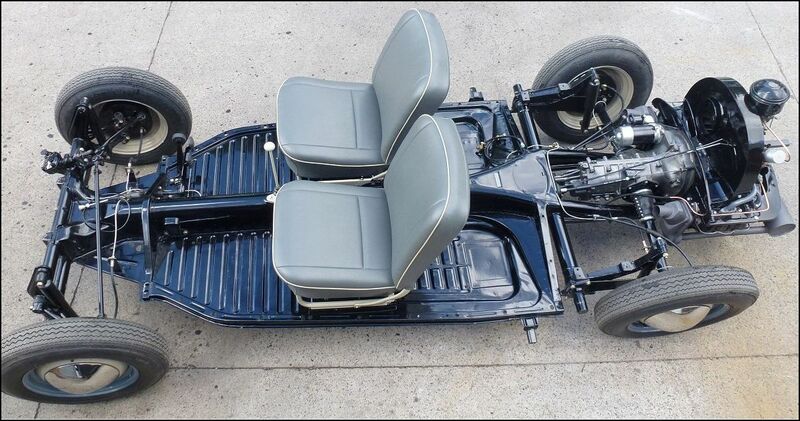 Further research on an old ‘kit car’ body or a decent old Beetle with rotten floors rapidly removed this interesting possibility from his price range. Frustration mounting, his ardor for a manual transmission even prompted a visit to some local dealerships for something new. The folly and illogic of assuming another monthly ‘note’ seemed, in his fevered state, to be a small price to pay for fulfilling his need for a clutch pedal. He visited a Kia showroom. The Forte Koup was in his payment range, but there were no stick-shifts in stock, and the salesman did not exhibit an inclination to locate one without a signature and a deposit. This visit was brief. Around the corner, he pulled into a Hyundai dealership. The salesman here was friendly. In fact, he too was an air-cooled VW enthusiast. Stefan took him up on his offer to take a 6-speed Veloster for a drive down the highway. 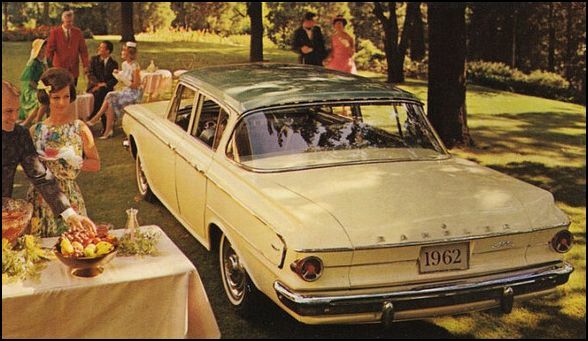 The quirky three-door design was appealing; and the payment range was the same as the Kia. 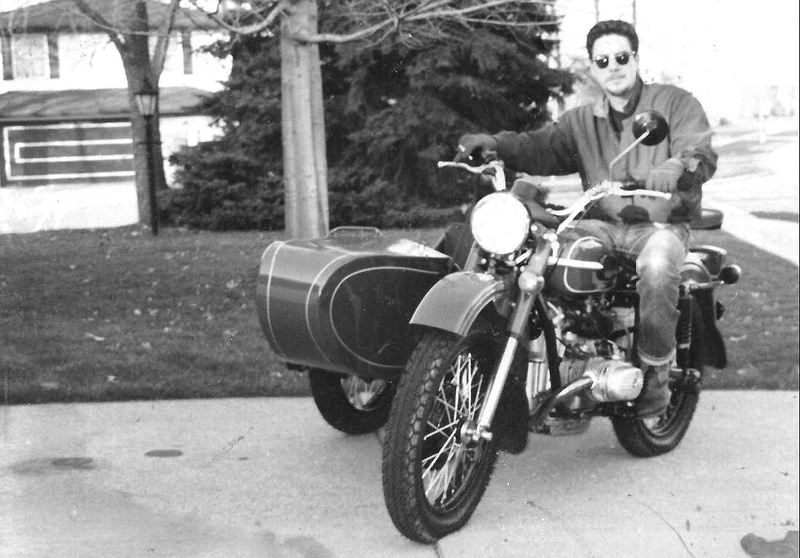 The drive was exhilarating, but he knew in his cheap Ukrainian heart that could be just as “quirky” in a vintage car, which he could maintain himself without a degree in electronics. An older car would also afford him a spare tire. (Neither the Hyundai nor the Kia has a spare). Like his other Ramblers, it was a stick-shift, in-line six cylinder, practical car that could be driven daily in all weather, and would appreciate in value during his ownership. An e-mail and a phone call to the seller convinced him that the car was worth the 360 mile trip to drive and inspect it. The boldface entries in the chart above made his decision simple. Data doesn’t lie, regardless of how high the fever one may be suffering. In fact, suffering over time results in endurance, endurance produces character, and character produces hope. Hope did not disappoint Stefan. 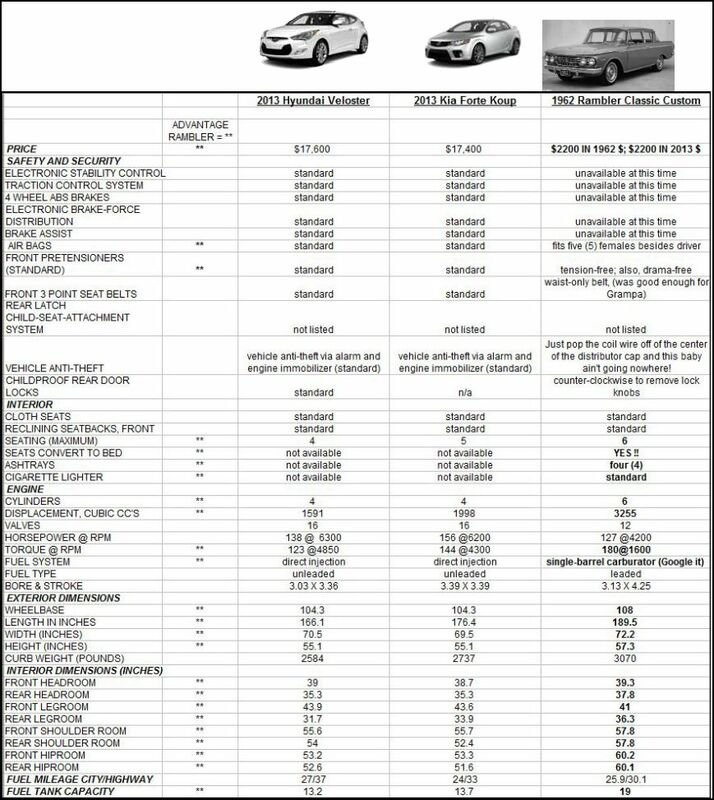 Within hours of compiling the comparison chart above, the phone rang. Someone was coming to look at Max . Within an hour, he had charged its’ battery and inflated the flat tire. Within two hours, it was gone. 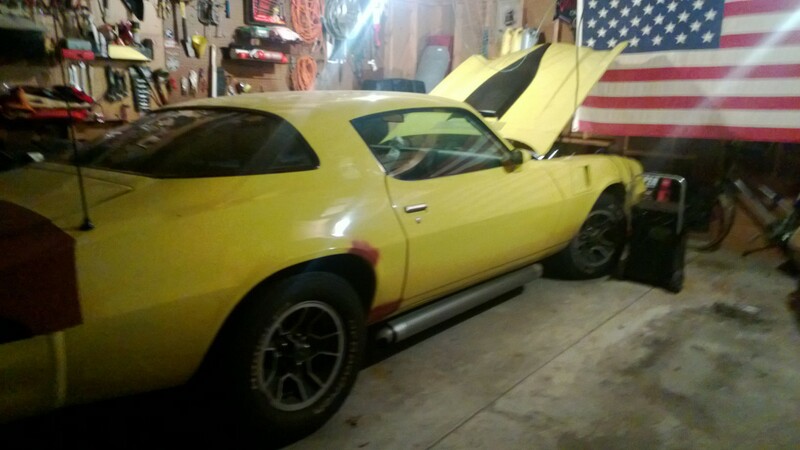 It would go to a good home, that of a Camaro enthusiast who had his own business, selling body parts and restoration services for Z-28’s and Firebirds. Stefan smiled as he listened to the happy buyer describe how he would fix it up for his wife…..who just had to have an ‘automatic’. Hope does not disappoint us.. This entry was posted in AUTOMOBILES, CULTURE, FAITH, Uncategorized and tagged American Motors, Beetle, Hemmings Motor News, Kia, Mad Max, Manual transmission, Rambler, Romans 5:1-5, Volkswagen. Bookmark the permalink. It was back in March or April of 2013. 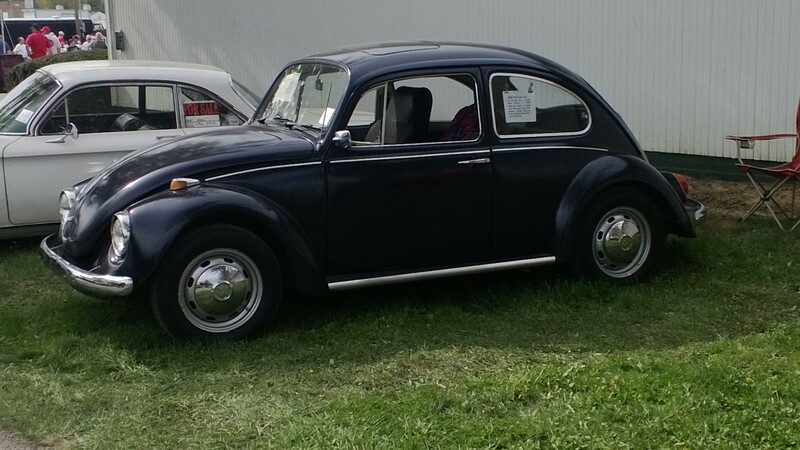 I found it on “The Samba”, a VW Forum, which is listed in my blog under ‘Favorites’. I believe there is a hyperlink in the text of the post you read. It was in Marion, Ohio. The owner contacted me several times after I looked at it, dropping the price each time. I have to believe he sold it by now. Thanks for reading. Hope this info helped you. Thank you, I’m sure he has sold her by now. I will continue my search, as I believe this was my Grandmothers car. The car was green, if that helps you be certain. Good hunting, and thanks again for reading. Thanks, the one with the white interior was green, she looks dark blue in photo…really loose steering? Thanks again for all the info. The blue one was a stick shift at a car show, not the auto-stick in Marion. I did not post a pic of the auto-stick. Thanks…I’ll continue my quest, I really appreciate your insight.